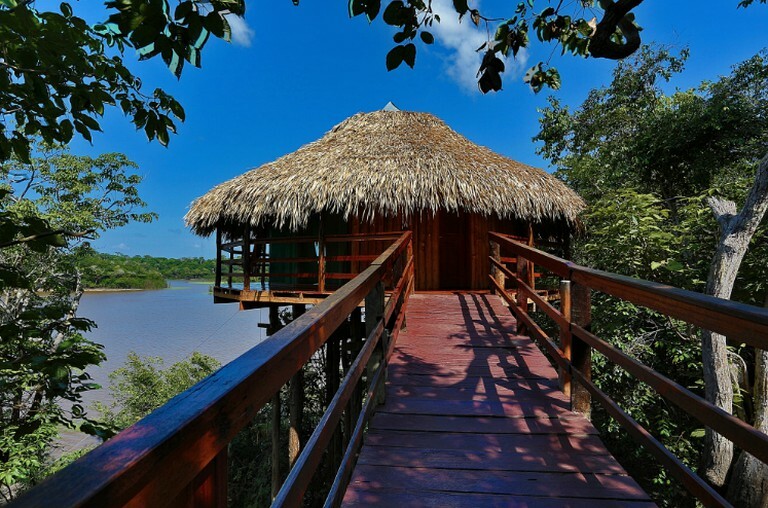 This panoramic bungalow tree house is the biggest and most luxurious bungalow at the glamping site near the Amazon River. 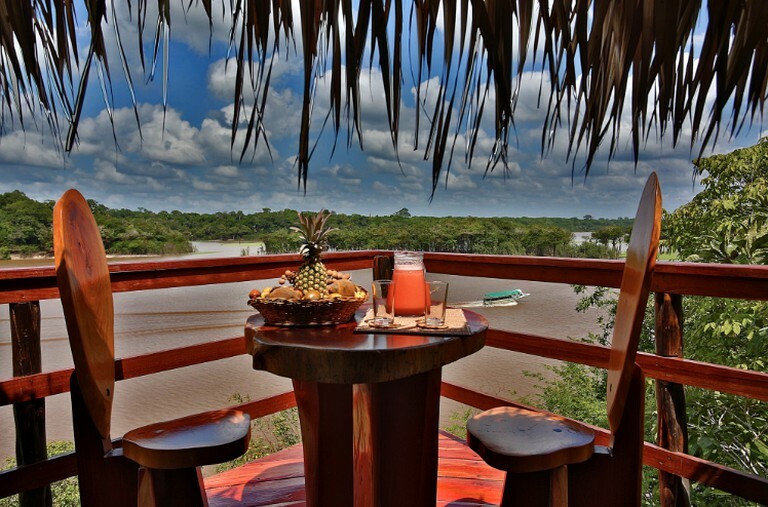 Located in the treetops, 32 square meters (344 square feet) in size, it is equipped with a king-size bed and features a round panoramic balcony with two hammocks and stunning views of the Juma River. 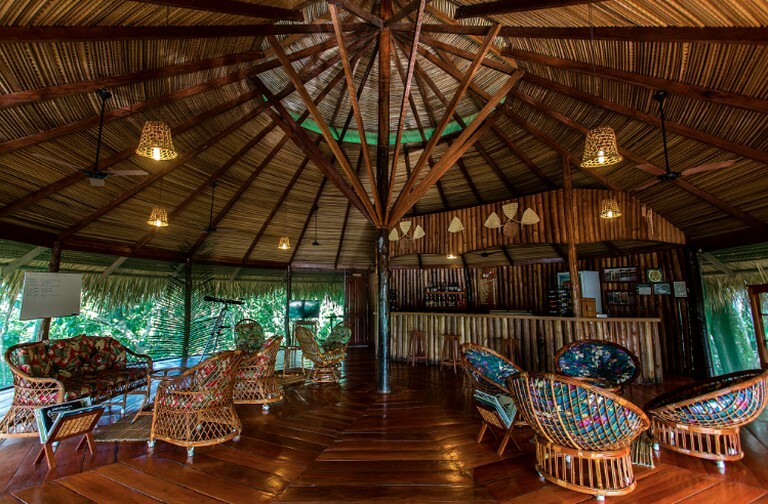 The luxury bungalow can comfortably sleep two, and features a furnished wooden terrace with forest and river views where glampers can relax in the hammocks and read, or simply take in the forest sounds. 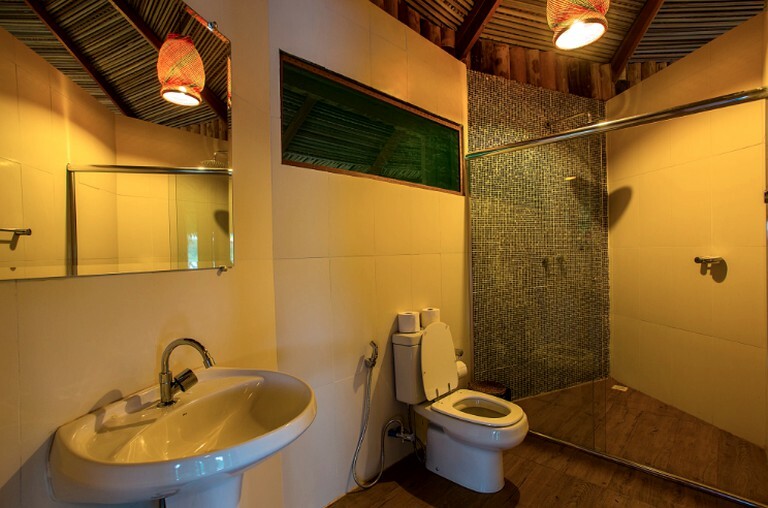 The interior of the bungalow is decorated with local artifacts and is entirely wooden. Help is always at hand with a front desk team dedicated to delivering the highest standard of customer service, located on a large deck area overlooking the lake. 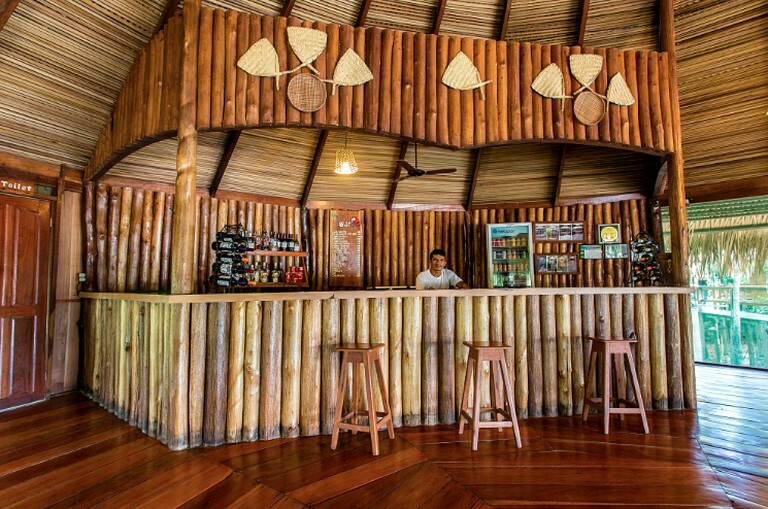 There is a small on-site bar with a range of games such as chess, backgammon, and books on the Amazon. For those who wish to paint, painting implements can be borrowed from the host, and there is even a professional telescope to take a closer look at the nights' sky. Chefs at the restaurant specialize in both local and international cuisine, and the restaurant boasts fantastic views across the lake with curved wooden tables and chairs. 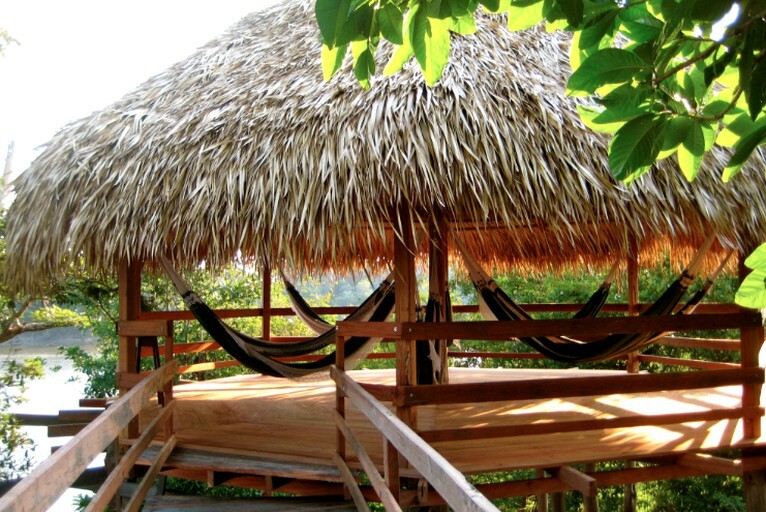 There are also popular hang-out hammock areas to relax after a long day of outdoor activities, and a floating platform out on the lake where guests can swim from, enjoy the sunset, and have a drink. 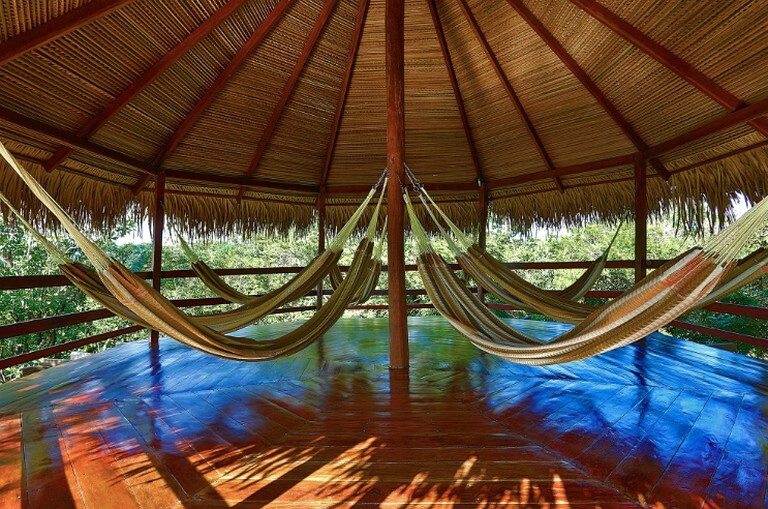 Glampers at this site have the opprtunity to spend an entire night out in the jungle. 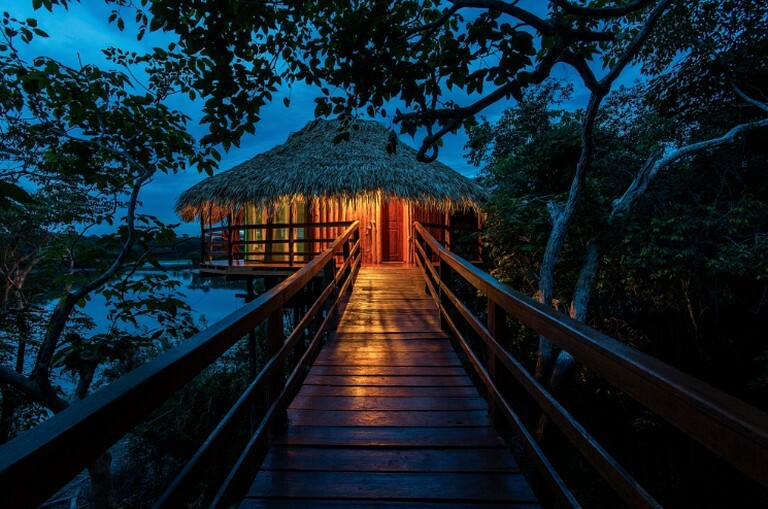 After dinner, the guide can accompany guests to their hammocks where they can spend the night entirely at one with nature, sleeping among the trees and listening to the exotic sounds of the rainforest. 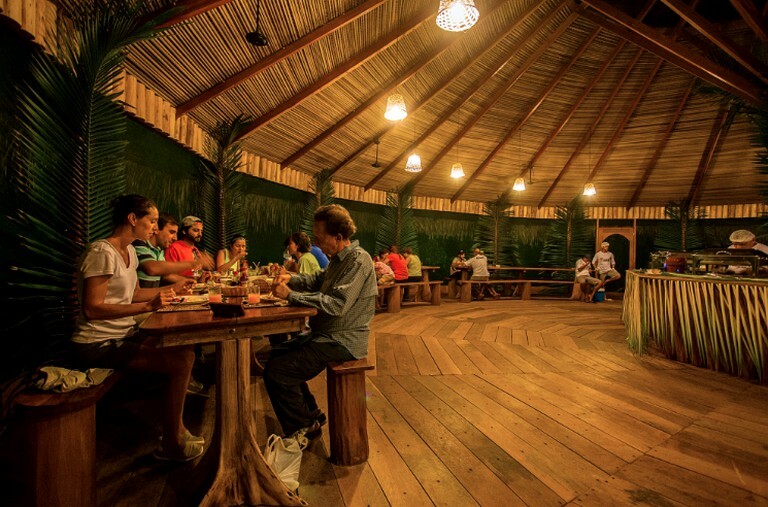 To optimize the Amazon experience, the host offers several tours which can be organized on a private basis or in small groups. These tours are organized through packages that are subject to change based on weather and other unforeseen conditions. Please contact the host for further information about the array of tour packages available. Rates include full board (breakfast, lunch and dinner), as well as the scheduled tours and a bilingual guide speaking Portuguese and English. 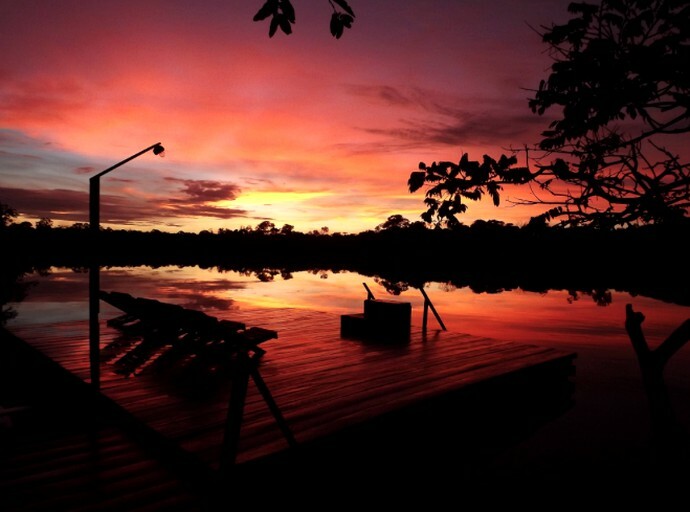 Also included in the rate is a round trip transfer from Manaus (MAO Int’l Airport and/or city hotel) and back. For those guests celebrating their honeymoon, the host can offer private breakfast inside the bungalow, fruit baskets, champagne and a private sunset tour accompanied by wine and cheese. 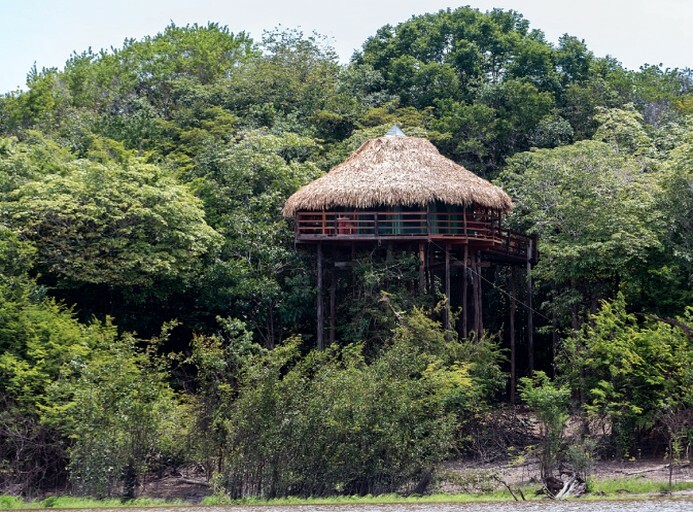 The Juma and Amazon Rivers provides ample opportunities for outdoor activities including canoeing, nature spotting, and boat trips. 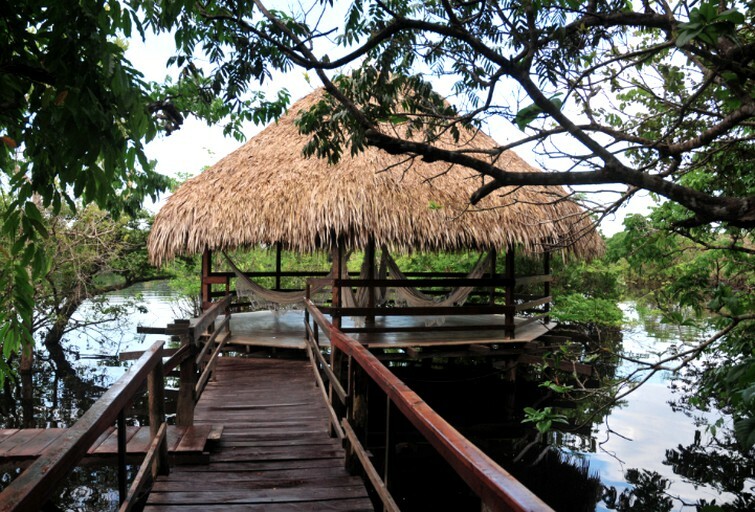 There is a docking platform nearby where guests can feed the Piraucu - known as the notorious 'giant' of freshwater fish. 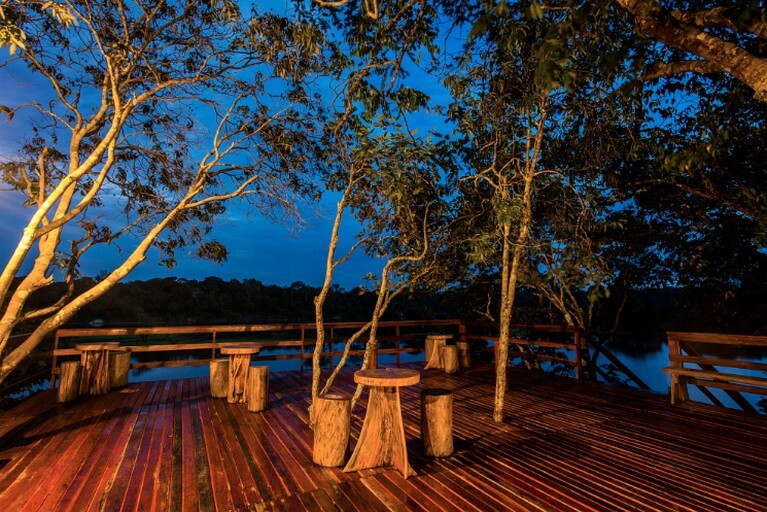 Glampers can also take canoe trips along the river, which is a fantastic means of getting up close to the diverse array of plants and animals who live in and around the Amazon River. During canoe trips, guests are encouraged also to swim, and can encounter the majestic pink dolphins of the region. There are also guided night tours taken on boats, and guests can expect to see caymans which are often skillfully brought on board by the guides to get a close look at the beautiful animals before they are returned unharmed back into the lake. 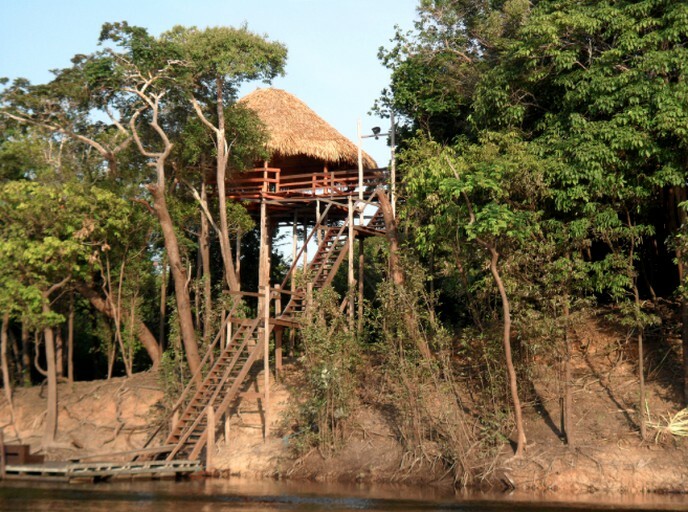 Other activities include jungle hiking, catching the Amazon sunrise, and piranha fishing. In the evening time, there are often lectures taking place, and for those interested in the local culture, there are trips to native villages to understand another way of life. 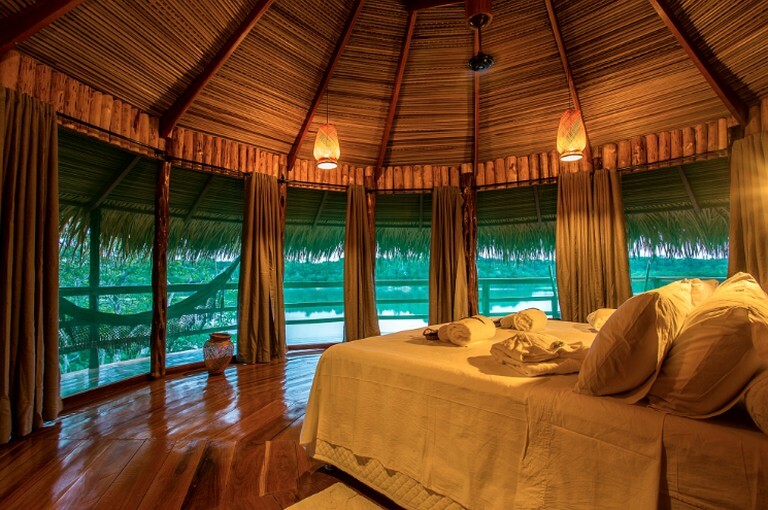 The host is committed to a vision of sustainability and all accommodations have been designed in an eco-friendly way, and are constructed out of local and natural materials which can be found in abundance in the region. Over 90% of the staff are individuals who live in communities surrounding the lodge. 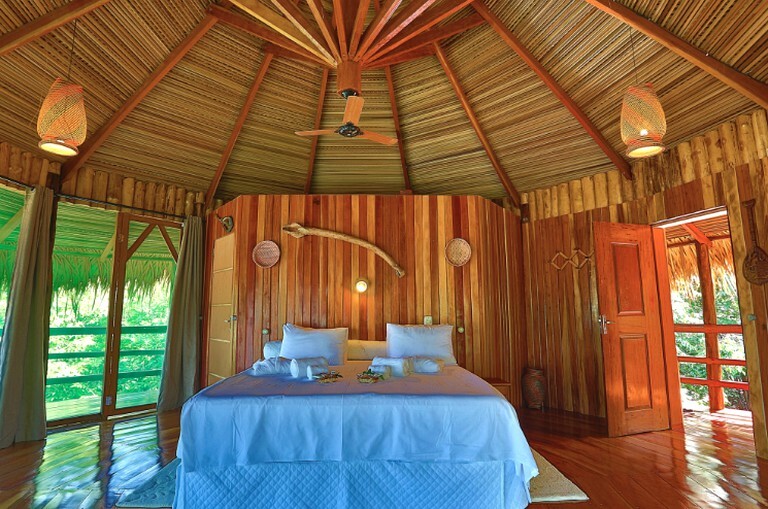 This glamping site is a significant driver of economic activity in the region.